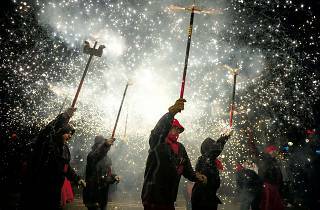 Each year, Barcelona celebrates its patron saint, Mercè, with seven days of festivities and activities. 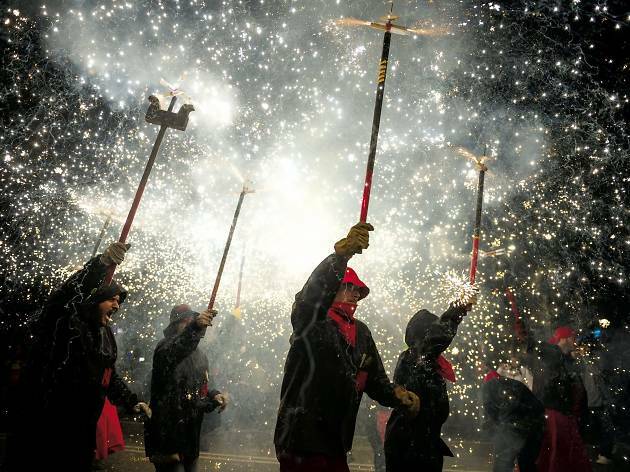 From Catalan staples such as human towers, dancing giants and fire running to outdoor concerts, singing competitions and open days at some of the city’s most important landmarks, see Barcelona let its hair down at this end-of-summer bash. It all finishes off with a monster firework display in Montjuïc. Nice La Merce! I went last year with my university class and we want to come back next year. I visited different places: for having lunch, shopping and having fun. There is a special place which we fell in love, Santa Eulalia Champagne Bar, you can have a brunch or a perfect meal in one of the most important streets, Paseo de Gracia.